Tony Thurmond is the winner! For the latest count, visit our live updated results page. Thurmond wins race for superintendent of public instruction. 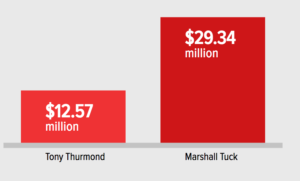 Two million ballots have yet to be counted but in a tweet he issued on Nov. 12, Thurmond said Tuck had conceded the race in a “gracious call to congratulate me and wish me well.” Read more. In what may be a pivotal moment in the race, Assemblyman Tony Thurmond, D-Richmond, has taken a substantial lead over Marshall Tuck in the contest for California’s state superintendent of public instruction based on the ongoing tallying of millions of uncounted ballots. Read more. 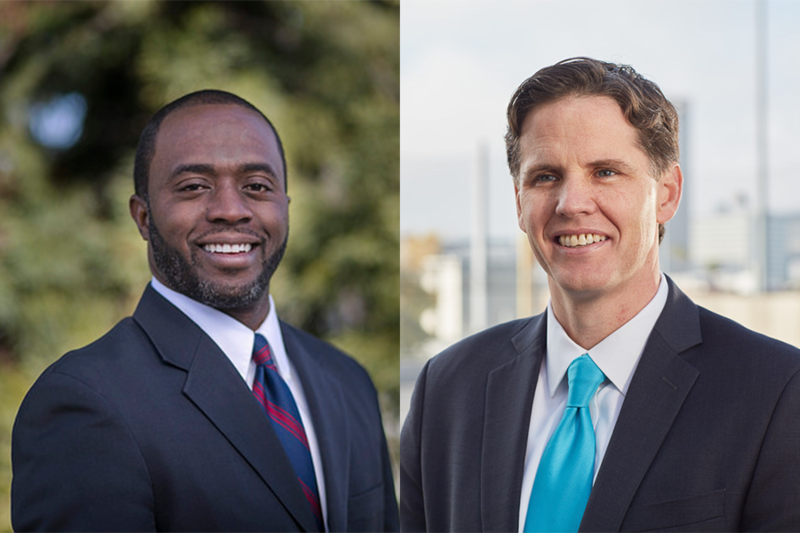 As California counties continue to process mail-in and provisional ballots, Assemblyman Tony Thurmond, D-Richmond, has for the first time taken a narrow lead in the race for California’s state superintendent of public instruction. Read more. 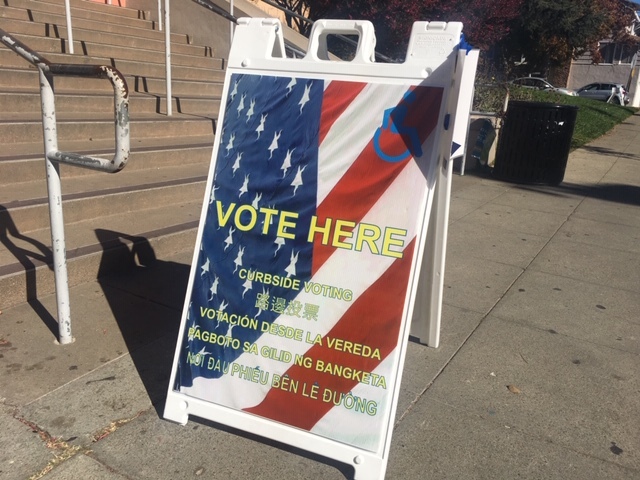 An estimated 4.5 million votes, which could determine the outcome of California’s expensive and hard-fought race for state Superintendent of Public Instruction, have yet to be counted, state officials said November 8. Read more. Whether it’s clamping down on charter schools or changing teacher tenure, candidates can say a lot more than they can actually do. 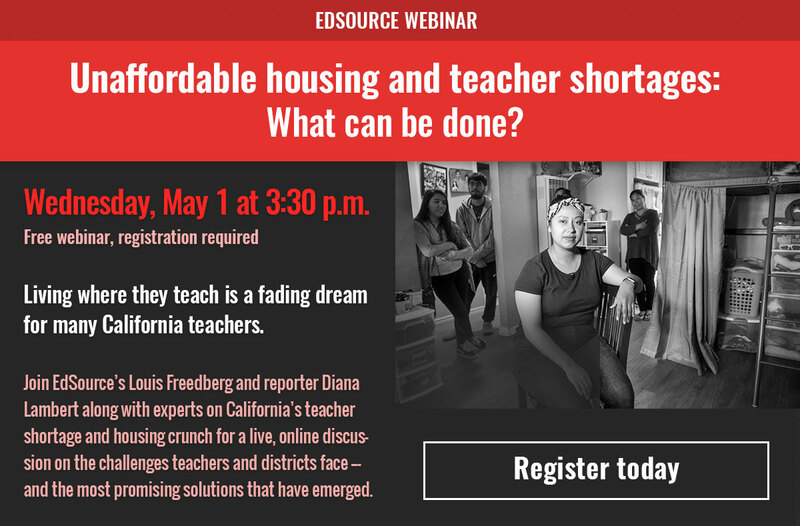 From EdSource’s John Fensterwald. 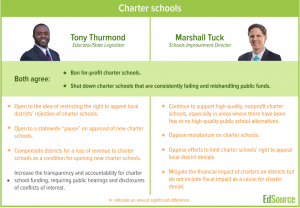 Marshall Tuck and Tony Thurmond, the two leading candidates for the office, are of one mind on many fundamental educational challenges in California. They disagree on exactly how to meet those challenges. Find out how. The two candidates for State Superintendent of Public Instruction agree that the time has come to review California’s quarter-century-old charter school law, while disagreeing over how best to handle the impact of charter school growth on the financial health of school districts. California’s new governor will be the key player in introducing new reforms. But where the funds to pay for them would come from is anyone’s guess. 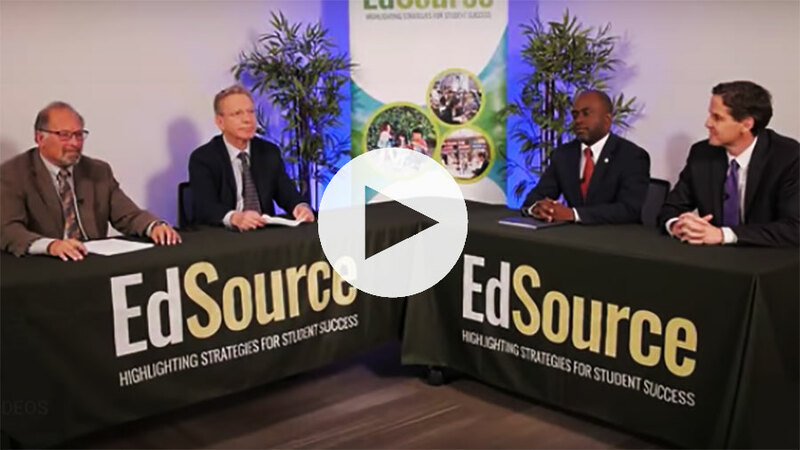 EdSource’s Louis Freedberg and John Fensterwald hosted a forum where the two leading candidates, Tony Thurmond and Marshall Tuck, made a rare joint appearance for a substantive conversation on the issues and where they stand. 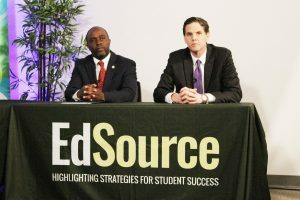 EdSource staff interviewed Marshall Tuck and Tony Thurmond individually, probing their reasons for seeking the office, their qualifications and past experiences, and their positions on key issues. Read our conversation (including audio) with Marshall Tuck here and Tony Thurmond here. 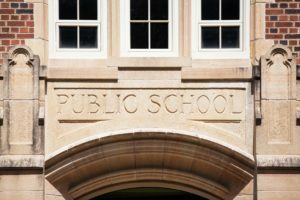 Millions of dollars have poured into the coffers of the candidates for state superintendent of public instruction, from reform advocates, private individuals (including more than a few billionaires), and labor unions. Get an update here. 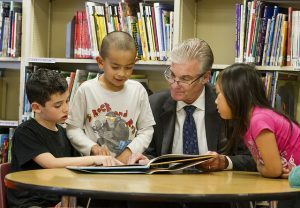 What does the state superintendent do, exactly? 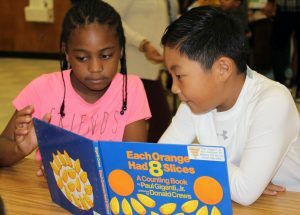 It’s not a settled question: periodically over the past century, state boards of education, governors and state superintendents have clashed over who should be setting education policy in California. Read more of this primer on the office.